This monograph intervenes in the long-standing and controversial debate on the socio-economic orientation of the European Union. 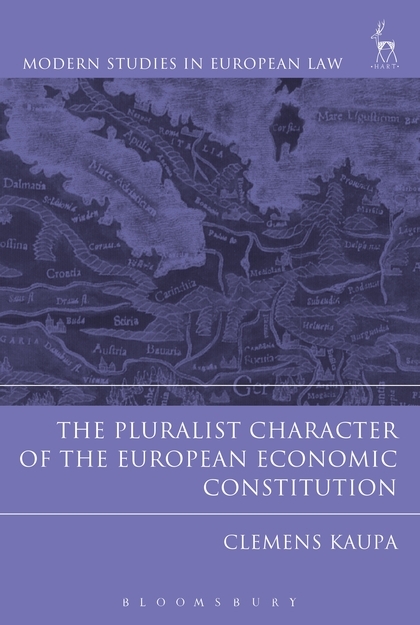 Arguing that the European economic constitution is pluralist in the sense that it does not favour any specific socio-economic paradigm, it shows that European law allows the pursuit of very different regulatory projects by the European and the national legislators. This pluralist character of the European economic constitution stands in an uncomfortable relationship with the policies currently pursued by the European Union, which are often neoliberal in their orientation. The book takes an interdisciplinary approach: it analyses the Treaty on the Functioning of the European Union as interpreted and developed in the case law of the Court of Justice, its history, and its regulatory purpose in the light of conflicting socio-economic paradigms. By challenging the orthodoxy, the book makes a bold proposition that will likely resonate in both European economic law scholarship and European law in general. With the ongoing economic crisis triggering a significant interest in economic questions among legal scholars it is particularly timely and topical. Clemens Kaupa is Assistant Professor at VU University Amsterdam.